Come And See Us On Stand Sb003 From The 10th To 14th Of January 18. 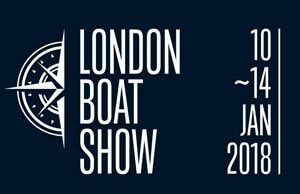 This year London Boat Show is running over 5 days with a completely different format, as well as great range of boats and accessories there will for the first time be a Boating and Water sports show running alongside as well as luxury items within the Bespoke London section. At the show we will be offering great deals on the full range of Highlander Boats as well as the TOHATSU RANGE of outboard motors.